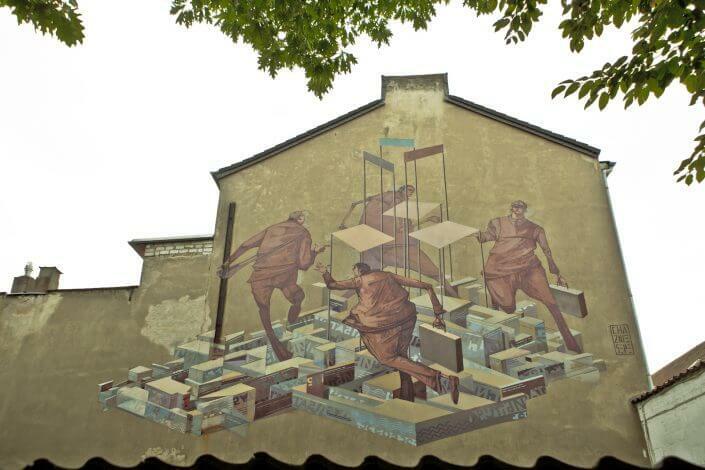 Walking through Cologne with one’s eyes wide open, one is bound to encounter street art at almost every corner. No matter if large murals on facades or walls or small stickers, stencils and paste-ups on gates and lampposts – the urban space is bubbling over with creativity! And yet there are certain quarters and spots in the city, where one may discover a plethora of street art in all its variations. These hotspots are worth checking out not only once, since they are in a process of continuous change – almost daily old things disappear while new things are added. 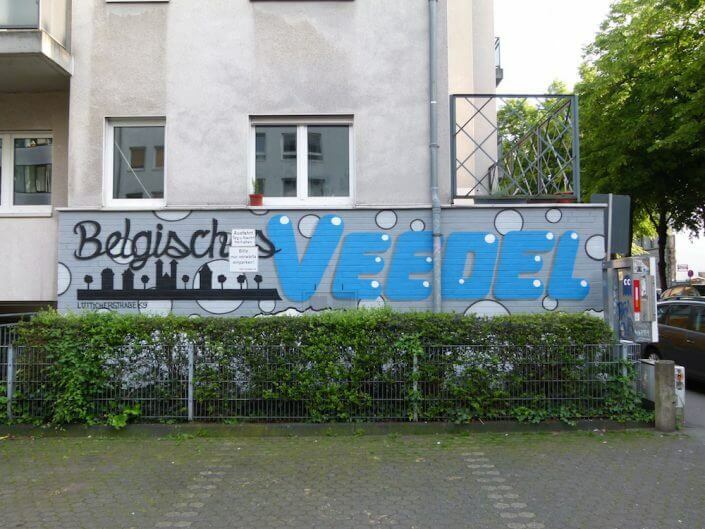 In the following, I have listed the most exciting Cologne boroughs and quarters when it comes to street art. Apart from that, I also name some of the local hotspots that are absolute must-sees! 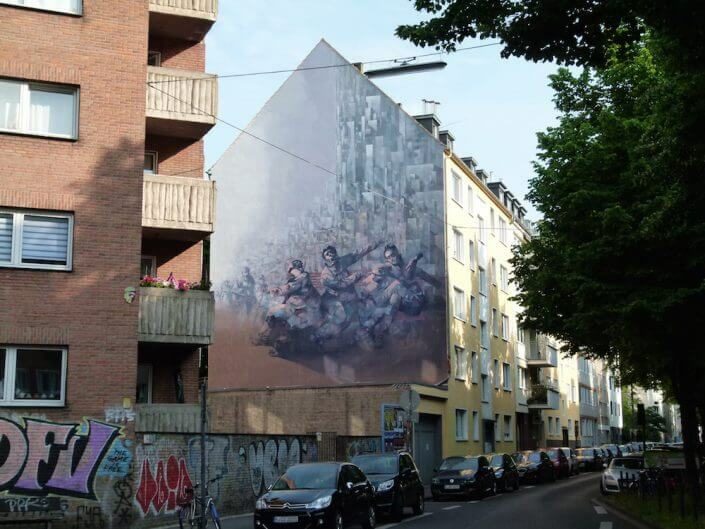 Ehrenfeld impresses with the greatest number of large-scale murals in Cologne. Here, one may discover outstanding artworks by internationally renowned street artists such as ROA, Herakut, Faith47, INTI, Tika, M-City or Sepe & Chazme just as much as works by local artists like Captain Borderline, Debug Visuals, Huami or Rakaposhii. Friends of paste-ups, stencils, stickers and graffiti should also stop by the local hotspots at Heliosstraße, Lichtstraße and the Heinz Gaul club. Cologne’s art hub between Aachener and Venloer Straße stands out due to its rich diversity in terms of street art. 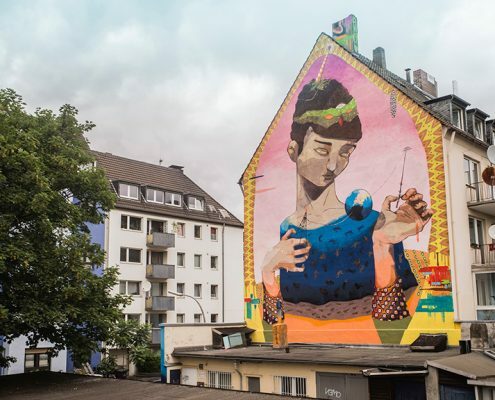 Apart from several impressive murals by Tika, Hendrik ECB Beikirch and Sepe & Chazme, one may above all discover a myriad of small-scale works by local artists on many facades, gates, doors and even inserted into the pavement. 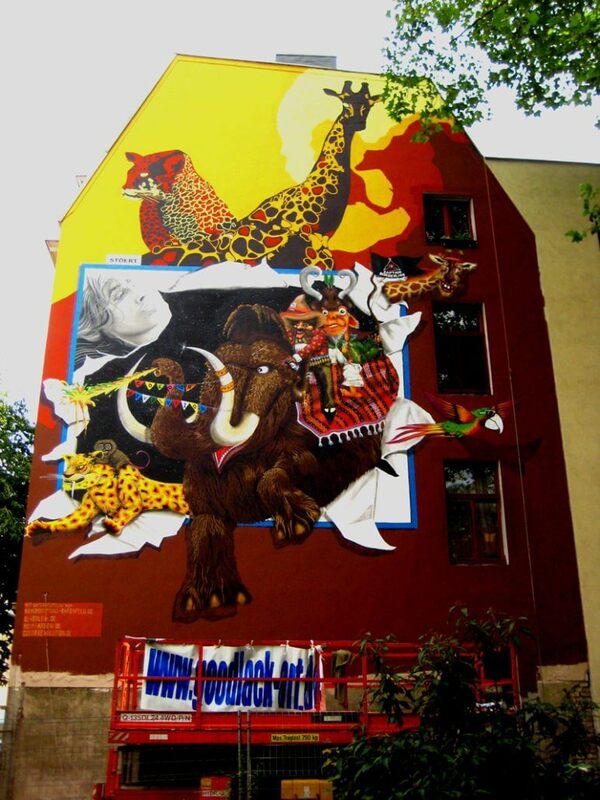 Some hotspots such as the facade of hairdressing salon or a bar on Brüsseler Straße are truly total works of street art made up of countless small paste-ups, stickers and tiles! Moreover, there are a number of galleries located in the neighbourhood that have specialized on urban art and regularly come up with exciting exhibitions. 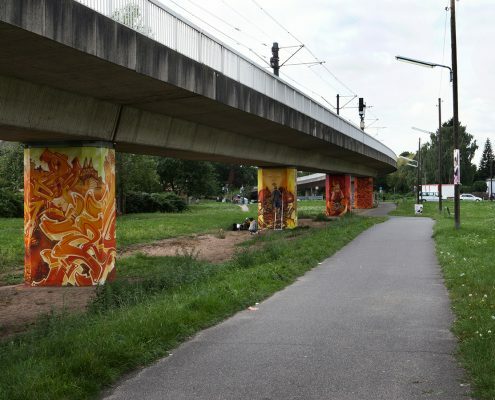 In the northern borough of Nippes, fans of graffiti should feel at home: The concrete piers of the Nippes tram line have been wrapped with amazing pieces by the who is who of Cologne’s graffiti scene. 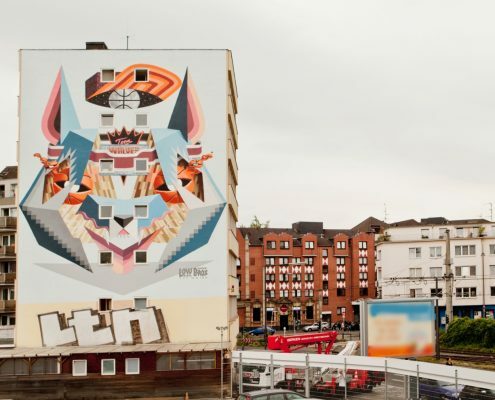 Large-scale murals such as by SatOne, Rookie, Ripo and Danjer Mola top off the picture. What is more, the gateway to backyard gallery Kunstwerk Nippes on Baudristraße has been painted by Cologne street art pioneer Marcus Krips. 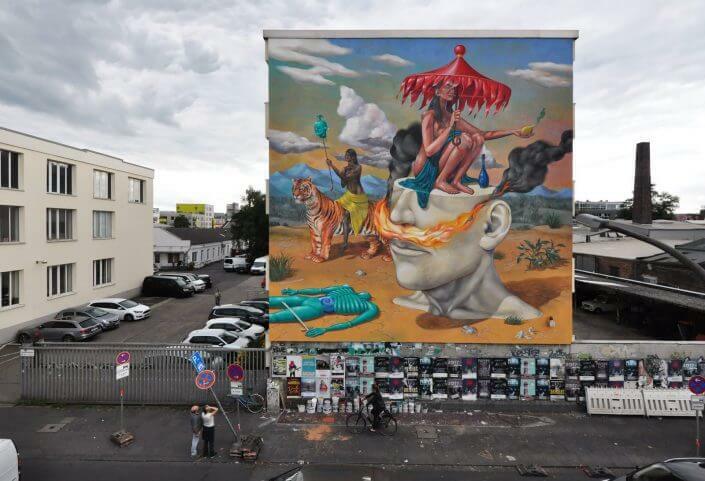 Since the CityLeaks Festival 2017 another two stunning murals by Innerfields and Agostino Iacurci may be discovered on the backyard parking lot of the Kaufhof department store on Neusser Straße. 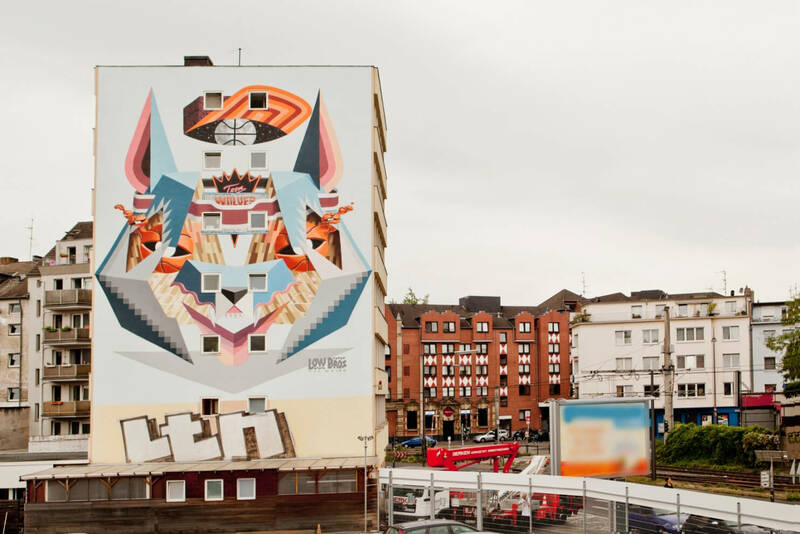 Since CityLeaks Festival 2015, also Mülheim, situated on the eastern bank of the river Rhine, boasts a number of impressive murals by internationally acclaimed street artists Hense, Axel Void, Franco Fasoli and Ammar Abo Bakr. 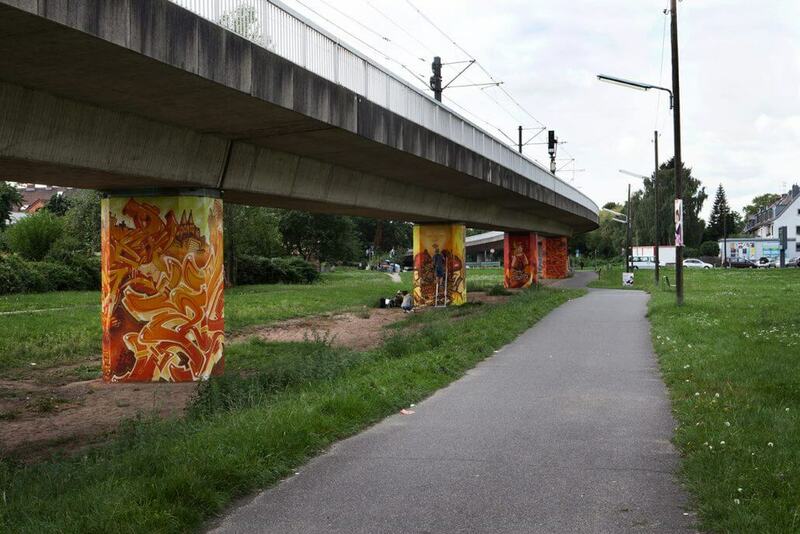 Mülheim’s hall of fame at MüTZe park, one of the „living rooms“ to Cologne’s graffiti scene, as well as the paste-up gallery below Mülheim bridge are also worth checking out. 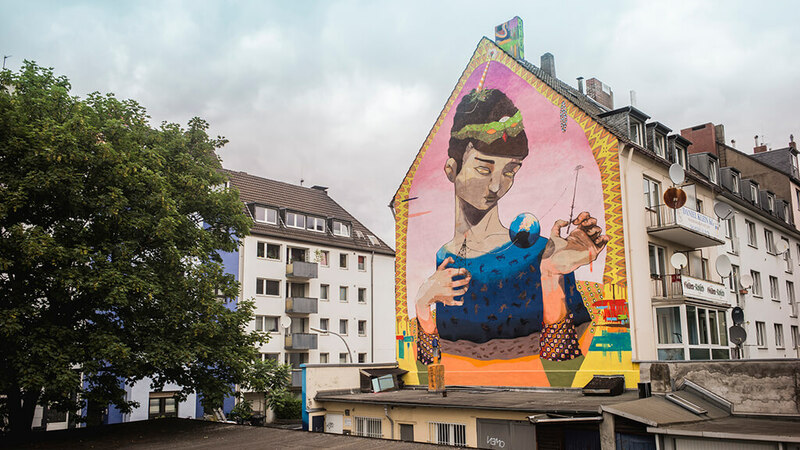 Cologne’s student quarter invites you to discover a small number of murals by Low Bros, Debug Visuals, SeakOne and Marcus Krips. Apart from that, many small-scale treasures such as Invader’s famed tiles are to be spotted in the quarter’s busy streets.